There is only one Savior, “for there is none other name under heaven given among men, whereby we must be saved” (Acts 4:12); but Hisname does save! “As many as received him, to them gave he power to become the sons of God, even to them that believe on his name” (John 1:12). Those who do receive Christ are thenceforth associated with His name—and therefore with His person and work. First, they are to be baptized “in the name of the Father, and of the Son, and of the Holy Ghost” (Matthew 28:19). They are then to order their lives in a way that honors His name. “Let every one that nameth the name of Christ depart from iniquity” (2 Timothy 2:19). 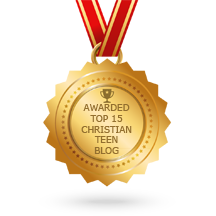 This entry was posted in A CLICK A BLESSING TODAY, CHRISTIAN NUGGETS and tagged The Name of the Lord Jesus. Bookmark the permalink.